Hello, everyone! Sorry for not posting last week, I’ve had quite a lot of schoolwork lately, anyways, welcome to our first Tutorial Tuesday. Now our library passes out these boring, ugly, plain bookmarks whenever you check out a book. Bookmarks are important, not just for reading, also for notes, and blah, blah. Let’s refer to them as place holders, and they have to be more stable then just sticky-notes. The felt will keep the glue sealed in and leave a smooth finish. These make great gifts, and you can get creative with all the different tips of buttons and matches you can make. Just slip them onto a card, and voila! 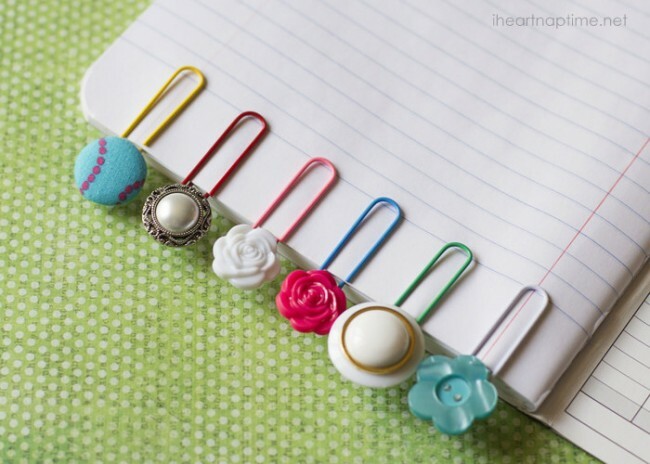 Categories: Tutorial Tuesdays, Uncategorized | Tags: button bookmarks, diy book marks, DIY crafts, tutorial tuesday, tutorial tuesday #1, tutorial tuesday how to make button bookmarks | Permalink.